MHF Inc. has been in the transportation business since 1983. 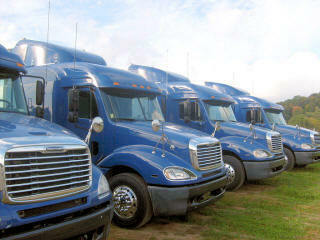 Our logistics service includes local and long-haul trucking. MHF Inc. include a wide variety of equipment and personnel to fit your transportation needs. We provide Linehaul, Regional Distribution, Multi-Stop and Inter-Plant Services to companies with commodities of building supplies, retail goods, and non-perishable foodstuffs to name a few. Having the finest equipment, technology and skilled personnel, we continually strive for quality service and on-time performance. Our goal is to provide premium services to all of our customers, every time. coverage for our clients, yet we are still able to provide this dependable service with a personal touch. We build long term relationships with our clients and our customers.